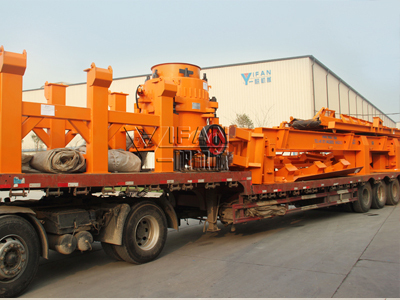 The PP series mobile crusher station and VI series sand maker machine developed by YIFAN has the international leading level and is new kind of equipment deeply favored by customers. A large set of mobile cone crusher plant manufactured by Zhengzhou Yifan Machinery Co., Ltd. recently was sent to Sri Lanka. This mobile crusher plant with the features of small size, light weight and high flexibility, can be widely used in water conservancy and hydropower, roads and bridges, concrete and stone production and other industries. YFAN mobile crusher plant can be divided into coarse crushing plant and fine crushing plant. Coarse crushing plant generally consists of and feeder and jaw crusher, mainly used for primary crushing. Fine crushing plant generally consists of screening system and secondary crusher. It can be equipped with spiral sand washer according to users’ needs. Screening system can be divided into double deck screen, triple deck screen and four-deck screen. Fine crusher can select impact crusher and hydraulic cone crusher according to different materials (the mobile crushing plant to Sri Lanka this time was selected hydraulic cone crusher). 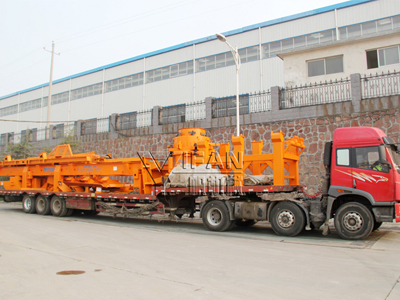 The export of YFIAN mobile crusher plant to Sri Lanka once again proved that YFAN product has been recognized by the overseas customers and always maintain the leading level in the crusher industry. YIFAN will continue to service the construction and development of Sri Lanka and other countries around the world with first-class quality and service. If you are interesting in, please feel free to contact us and chat online with our consult service for more details.